Detail of Ares and Athene from a painting depicting the return of Hephaistos to Olympos. 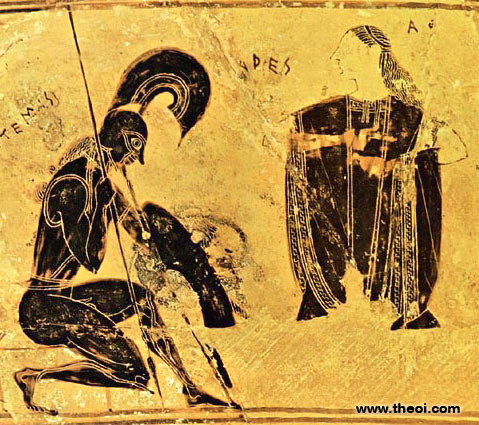 Ares sits dejected, for Hephaistos has returned to claim Aphrodite for his bride. The figures are labelled with their names.